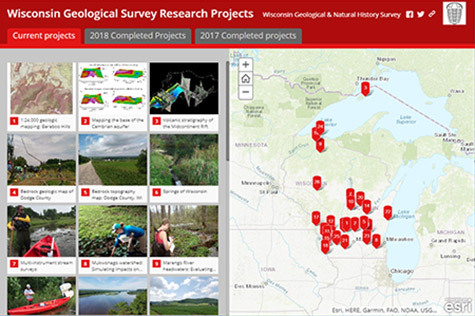 The Wisconsin Geological and Natural History Survey researches the geology, mineral resources, and water resources of Wisconsin. 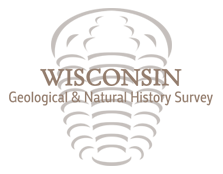 Our work provides natural resource managers—land and water conservationists, county boards, and water utilities—with the information they need to protect and share their resources. Our work also helps us understand geologic processes, past and current, allowing us to make sound geologic maps. Our maps not only provide the locations of resources, they also inform decisions about water resources across much of Wisconsin. documenting the reversal of the ancient Wisconsin River.